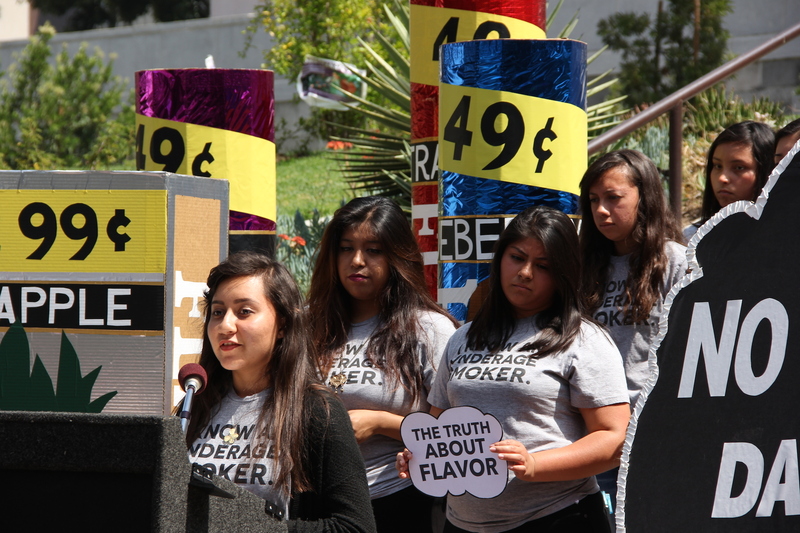 As a project, The Truth About Flavor emphasized cross-sector collaboration. 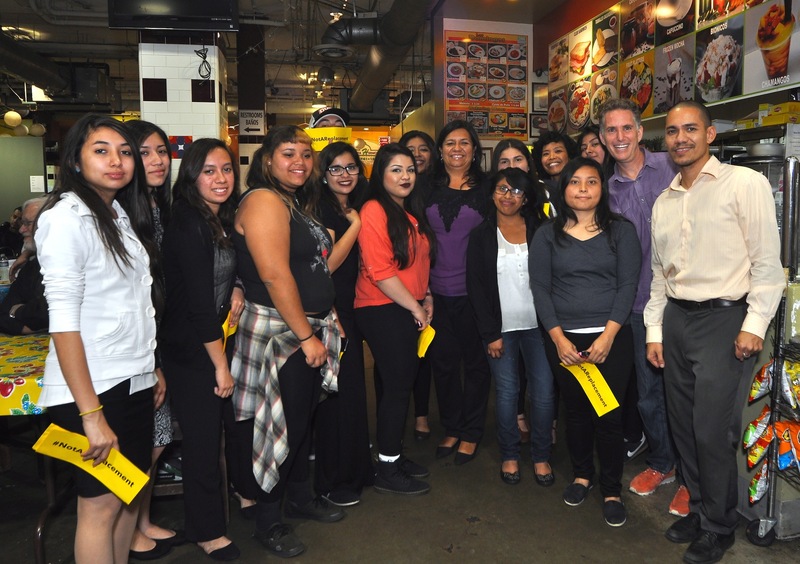 It was imperative that the media developed by CHAS students, including their in-person presentations, connect to stakeholders in Los Angeles and across the region. 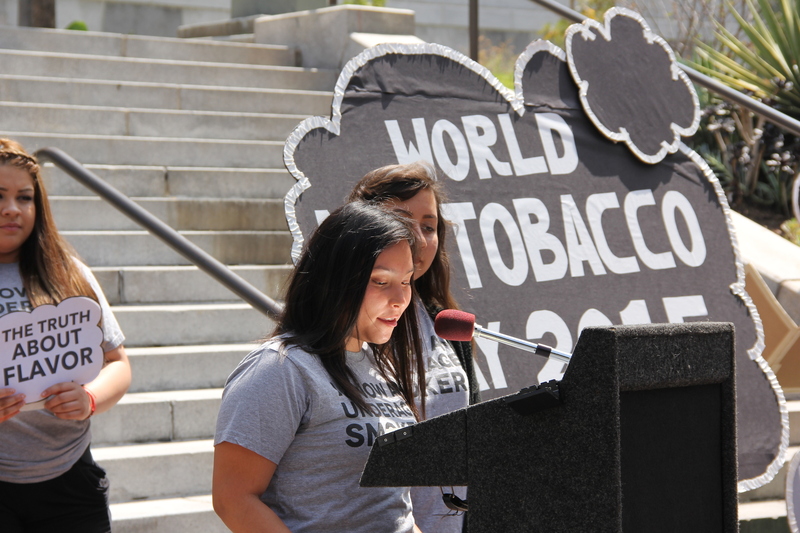 Over the course of the year, the students presented to fellow artists, public health professionals – particularly those working in tobacco prevention and control – City officials, community residents, and their peers at CHAS. Always looking to increase the reach of a project, Public Matters enthusiastically accepted Freewaves’ invitation to participate as one of the six artist groups in Long Live LA, an Out The Window video series addressing issues such as mental health, addictions and fitness. Through Out the Window, Long Live LA videos screen in health centers and clinics throughout Los Angeles County, reaching an audience of over 300,000 viewers. 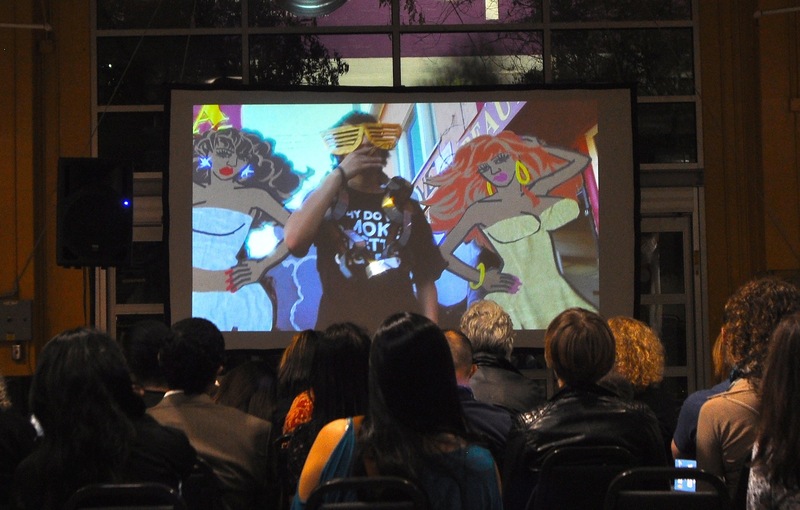 On Wednesday, March 18, 2015, the five “myth-buster” videos had their world premiere at Mercado La Paloma as part of Long Live LA. Long Live LA was the first opportunity for the students from CHAS to present their work to the public. 15 students took part in the public presentation to over 100 event attendees. This event was the first public speaking opportunity for the students and a chance to share in the creativity and inspiration of each of the artist/groups. 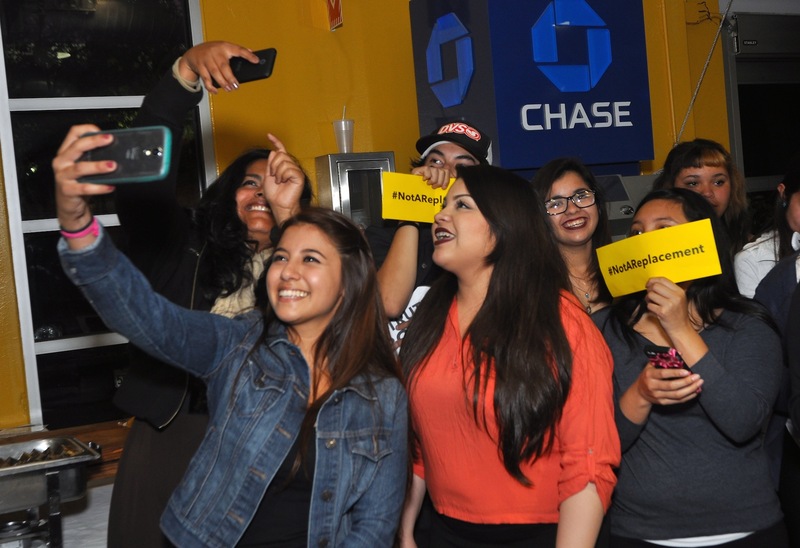 Long Live LA’s event coincided with Kick Butts Day – a national day of activism that empowers youth to stand up against Big Tobacco by using social media to post #notareplacement selfies. 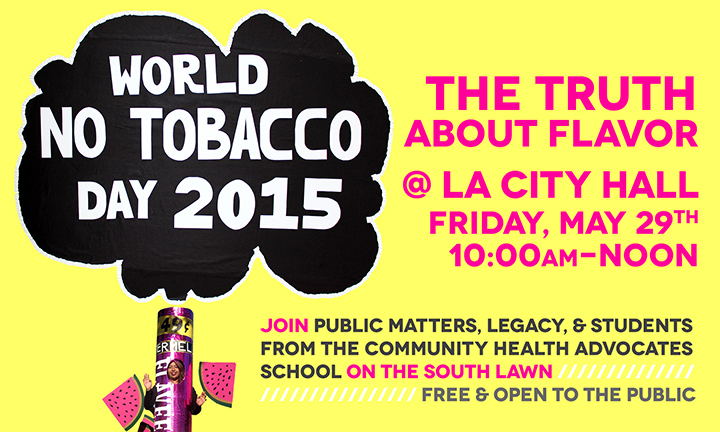 The social media effort demonstrates that youth are aware of, and reject, the tobacco industry’s marketing tactics. In their presentation, the CHAS students connected to this national movement and led those in attendance in taking a stand to be #notareplacement. Freewaves commissioned Long Live LA with funding from the Robert Rauschenberg Foundation as part of the organization’s ongoing initiative to bring media art to the public. 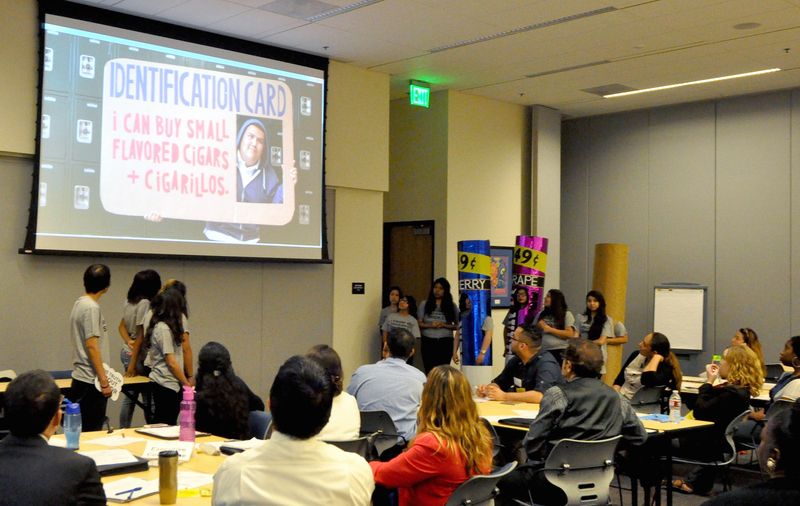 In March 2015, the CHAS students made their way to a meeting of the Coalition for a Tobacco Free Los Angeles County. This policy-heavy meeting was infused with the inspiring words of the students as they presented on their personal and community’s experiences with flavored cigarillos before screening the five “myth-buster” videos. The students were honored with a standing ovation and a Certificate of Recognition from the Coalition’s Director, Tonya Gorham Gallow. Every year on May 31st, the World Health Organization and partners around the world mark World No Tobacco Day to highlight the risks associated with tobacco use and to advocate for effective policies to reduce tobacco consumption. 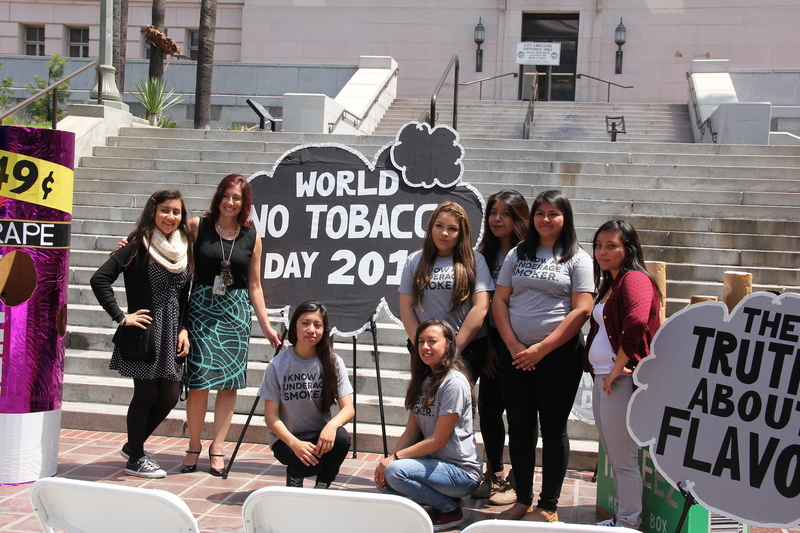 As part of World No Tobacco Day events in Los Angeles County, the students from CHAS capped off the year’s work with public presentations at two events – the first at Watts Healthcare Corporation on Thursday, May 28, 2015, and the second at Los Angeles City Hall in an event spearheaded by the office of LA City Attorney Mike Feuer on Friday, May 29, 2015. At both events, the students presented the “myth-buster” videos and compelling first-hand accounts of their experiences of flavored tobacco products, flanked by Flavee costumes and informative smoke puffs. 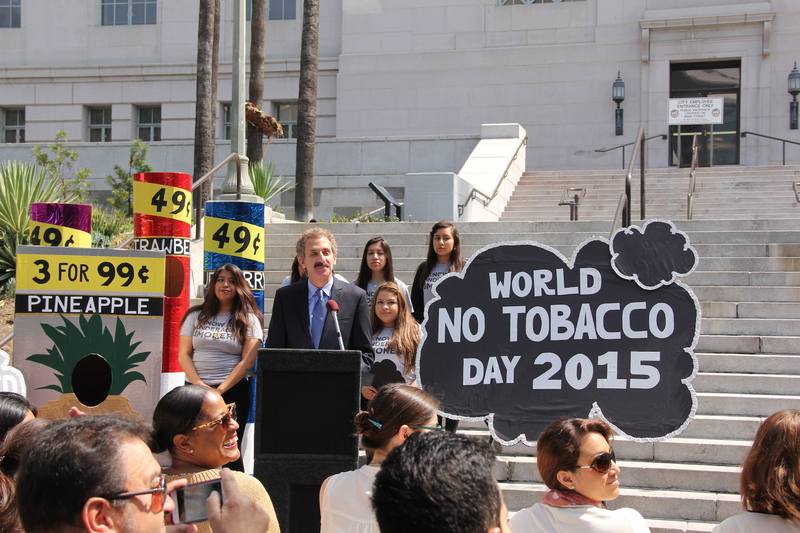 On the steps of City Hall, the students had the distinct opportunity to share the stage with important public figures, City Attorney Mike Feuer, community leaders and respected public health officials, and CHAS Principal Claudia Rojas. Their contributions were honored with awards of recognition – the first of many we are sure to come for these young leaders! Watch the video to learn more about the event at City Hall.